This Spinning Socks Six Pack in Panda (60% superwash merino, 30% bamboo rayon, 10% nylon) from Sweet Georgia Yarns has been sitting in my stash since October 2014. 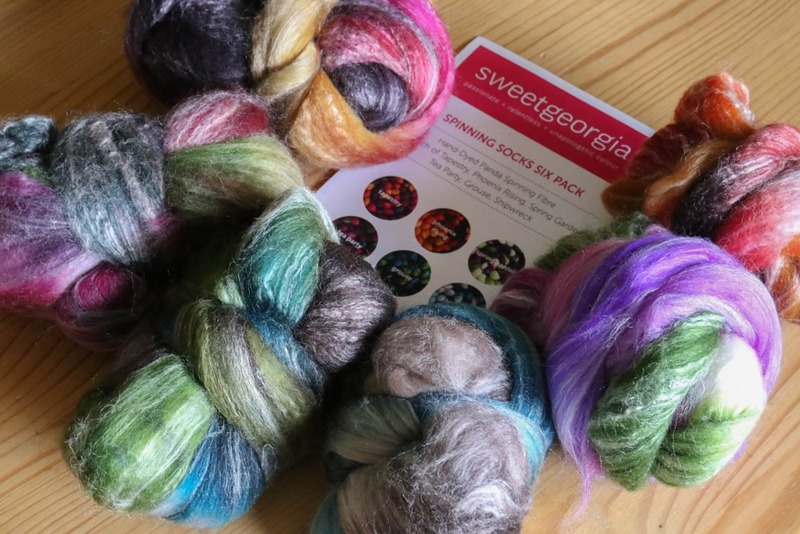 That is almost two years ago because I received it as part of spinning with Team Sweet Georgia in Spinzilla that year! I’m not a big stasher, as those who’ve been following me for a while know, but I do have a few things that are starting to rack up the months, nay years, in the stash. One night earlier in April, my friend Diana introduced me to Natural Knot Wood Designs in Winnipeg, MB. They are beautiful spindles and I bought two mediums immediately. I loved the speed at which they spun and played with some Panda fibre on one of her spindles that night. Once my spindles (I bought two) arrived, I immediately dove into my stash to retrieve this bag of fibre. Since then, I’ve been spinning away on each 1 ounce bump of fibre. I have a plan on how I’m going to ply it but more on that in a future post. First bump on the 25gm Tulipwood spindle in colourway Phoenix Rising. In the meantime, suffice to say that the Panda is spinning up evenly with lovely tight twist and, might I add, with very little effort on my part. I’m averaging about 10 days per bump of fibre because I’m working on other things at the same time so this isn’t my exclusive project but so far I haven’t lost steam or inspiration yet! Can’t wait to see the yarn you make out of this fiber! Lovely spinning, Rachel! 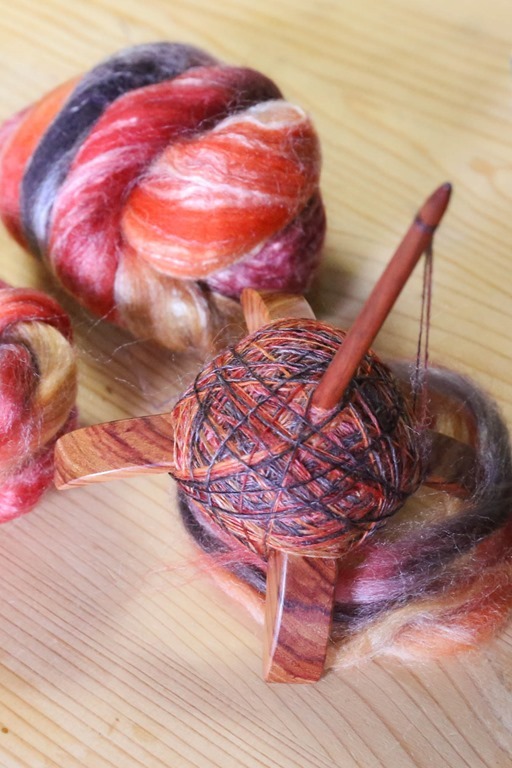 I am spinning up some Cormo on a Jenkins Turkish Spindle, and I just love how it spins!